Keywords: antibiotics, antiseptics, infectious complications, resistance. Background. Infections caused by Pseudomonas are one of the topical issues of medicine. Objective. The aim of the research was to study sensityvity to antibiotics, antiseptics of P. aeruginosa clinical strains that cause infectious complications in patients with burns. Methods. Microbiological study of biological material, received from 435 patients with burns of the 3rd-4th stages (2011-2015 years). In early terms of burn disease 127 clinical strains of P. aeruginosa were isolated from patients. Standard methods were used to identify clinical isolates of P. aeruginosa by their morphological, tinctirial, culture and biochemical properties. The research of antimicrobial action of antiseptics, antibiotics against Pseudomonas were carried out by means of standard methods according to the Directive of the Ministry of Health of Ukraine (No. 167 from 05.04.2007 р.) and guidelines of National Committee of Clinical and Laboratory Study (NCCLS, 2002). Results. It was established that P. aeruginosa caused infectious complications in 23.9% of patients among other pathogens. Clinical isolates of P. aeruginosa were found to be low sensitive to amoxicillin/clavulanate (30.76%), ceftazidime (25.92%), cefoperazonum/sulbactam (46.15%), aztreonam (51.85%), tobramycin (38.46%), amicacin (70.34%), doxiciclini (26.92%), fluoroquinolones (59.26%). The analitical progistic criteria of decrease of sensitivity to ceftazidime, cefepim, meropenem and gatifloxacin were found in P. aeruginosa. This pathogen was determined to be sensitive to decasan ®, antimicrobial composition of decamethoxine ®, iodine pvidone. Conclusions. Clinical strains of Pseudomonas aeruginosa, being highly resistant to antibiotics, are also very sensitive to antiseptics decasan ®, antimicrobial of decamethoxine®, povidone iodine. Church D, Elsayed S, Reid O, et. al. Burn wound infection. Clin Microb Rew. 2006;19:403–434. Nahajchuk VI, Nazarchuk OA, Paliy IG, et al. In addition to characteristics of modern infectious complications in patients with burns. Ukr Med J. 2014;5(103):123–126. Bhandari S, Banjara MR, Lekhak B, et al. Multi-drug and pan-drug resistant Pseudomonas aeruginosa: a challenge in post-antibiotic. Nep J of Sc Tech. 2012;13(2):197–202. Chander A, Raza MS. Antimicrobial susceptibility patterns of Pseudomonas aeruginosa clinical isolates at a tertiary care hospital in Kathmandu, Nepal. Ains J of Pharm and Clin Res. 2013;6(3):235–238. Frieden T. Antibiotic Resistance Threats in the United States. U.S. Department of Health and Human Services: Centers for Disease Control and Prevention. 2013:114. Paliy GK, Nazarchuk OA, Gonchar OO, et al. The research of physical and chemical, antimicrobial properties of “decamethoxin®” remedy. Med and clin chem. 2016;18(1):36–44. Nakrasova LS, Svyta VM, Glushkevych TG, et al. The determination of sensitivity of microorganisms to antibacterial drugs: methodological recommendations MR 9.9.5. Кyiv. 2007:74. Yunkerov VI, Grigoryev SG, Rezvantsev MV. 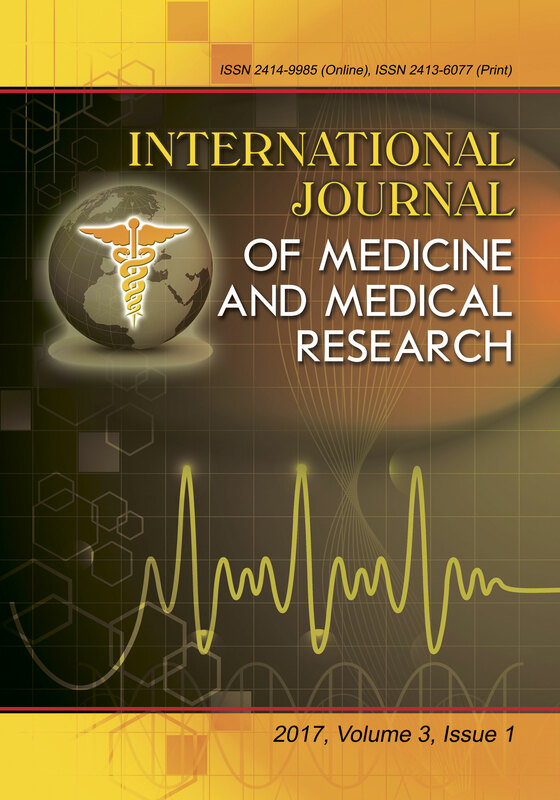 Mathematical and statistical processing of medical research data. Saint-Petersburg: VMeedA. 2011:318.